The best 90 minutes of my life!!! This is a hidden secret in Urbandale that I just recently found...actually my husband found it with the help of google search of what to get wife for mother's day. Either way, best massage ever! Summer is an expert masseuse. She did an outstanding job. I specifically visited for her one hour Foot massage to get deep into the tissues, joints and nerves suffering from too many hours working at the computer. Make a reservation online. Fantastic. My husband and I did the couples massage here, and would highly recommend it! We will definitely be back! Absolutely amazing! Summer did such a fantastic job and I highly recommend her for all services! I loved every minute of my massage! Will definitely be going to back to her more often!!! Absolutely amazing! Summer did such a fantastic job and I highly recommend her for all services! Loved her! Best Massage I have had in 15 years! I almost gave up trying to find someone capable of the depth and pressure I like . Being a therapist myself, I appreciate the effort needed to produce a great massage where such pressure is needed to break up knotted tissue..It is hard work! Summer made it seem easy and will find spots that are sore that you didn't know existed...awesome!!! Will definitely be back. Its the best massage I ever had i highly recommend the deep tissue masage from Summer. I have been a client for 6 months . They are very professional and ask Where you have pain every time you schudule. I've always left feeling way better afterwards. Janessa L. says: Summer is amazing when it comes to relieving pain. I have upper back pain and opt for the deep tissue massage and she really gets in there. It can be painful at times but my pain is gone when I go to Summer. I tried multiple chiropractic sessions and nothing helped as much as her massages. Scott B. says: Great massage! Summer was very thorough and very attentive to troublesome spots. I highly recommend getting a massage here and plan on returning again soon. Greg J. says: I have a bad shoulder and after my massage it felt better for 4 days. I had the deep tissue massage and Summer definitely reached the deep tissue. I was tingling for hours. Great massage! Jana M. says: Awesome experience. This was my first massage and I will definitely be returning. The staff made me feel comfortable and the experience was very positive for me. Very professional and caring therapist! Kyle M. says: This was my first time getting a massage and staff made me feel very comfortable. The massage itself was professionally done and I will definitively be returning. Cary m. says: There is not a professional massage therapist in Polk County that has the unique massage skills that Summer possesses! As an ex-pro athlete I have had hundreds of massage therapies over 30 years around the globe. Summer tailors her sessions to address and correct an individuals specific physical issues. She is by far the most effective massage therapist available anywhere! Cary M. Des Moines, Iowa. Megan S. says: She really loosened up my shoulder and neck. I didn't realize how tensed up they were. Joe D. says: I have had many massages over the years and been to Summer 3 times so far. Without a doubt they have been the Best massages I've ever had. Each time I've been to her I left feeling relaxed and look forward to going again. I will definitely go back and will recommend her to everyone looking for a great massage. Becky S. says: I've been here 3 times and each time was great! I've had 2 different massage therapists and they were both very good and I felt great afterwards! They listen to where you have pain and really work those areas. Amy M. says: The best massage I have ever had. Summer was so helpful and friendly - solved a problem I have been having with my shoulder for a long time, and also talked with me about other simple ways I can improve my general health. I will definitely be back! Randy F. says: I have been getting massages for ten years all over the country in my travel for work and Summer was by far the best EVER. If I ,ake it back to De Moines I will visit again ......Great massage!!!!! Kayla t. says: I received the deep tissue massage and thought it was fantastic! She knew exactly where my pain points were and I'm feeling so much better!!! Enesa O. says: Deep tissue massage was great. Best massage I have received. Definitely recommend to anyone. Liz P. says: Deep Tissue foot massage was wonderful. Really got to stress areas of shoulders and back. Highly recommend Summers Massage Therapy! Dave A. says: Excellent - focused on where I requested (my back), but gave me a great work around all around. Among the best I have ever had. Douglas L. says: Booked a deep tissue massage less than two hours away. Summer showed up just in time, gave a WONDERFUL full-hour massage, paying particular attention to my neck & shoulder I had complained about. Got a $10 discount off the already fair price for being a new customer. I am very happy with the result & will no doubt return when I'm back in the area. Only complaint is that the building doesn't have a number on the outside, and was difficult for one not familiar with the area to find. Roland K. says: Summer has helped my neck pain and hip pain. Recommend Deep Tissue Massage, You will feel your body heal. Easy to book and great service. Jim L. says: I drive or at my desk most of the day. I received the best massage ever at Summer's and I have received many over the years. They are far better than the chain providers and less expensive. So if you set a lot either at a desk or vehicle Summer's is a great place to go. Joan L. says: I saw Summer to help with my neck and shoulders due issues from sitting at a PC for extended times. She really worked those areas and did an excellent job of working out the kinks. Would definitely recommend to others. Josie S. says: Summer is the first person I have been to down here and I won't go to anyone else. She was the best! World T. says: World Traveler sys: Just back from Paris and a long two weeks on my feet working a show. I had an hour on my face then an hour on my back. Summer really helped my feet and and my legs from the front. I did not know how tight they were. i am doing that every week from now on. I should take Summer along so I could stand to be on concrete that long again. Melissa K. says: Always a great massage. I have a lot of back problems and this has helped me tremendously. My grandmother and mother have both had multiple back surgeries and I am determined to live a great life with my original equipment intact. Summer has allowed me to help heal my issues, along with acupuncture and chiropractic treatment. Also, I LOVE LOVE LOVE the online scheduling. It is priceless for busy people who need to schedule things quickly. Her hours are amazing. You can always find an appointment when you need it -- even at the last minute often times. Absolutely the best I've ever had!!! Diana P. says: I am 57 years old and have been getting massages for the last 20 years. I've been to at least 15 therapists both in Iowa and other states. I get massages weekly. After experiencing Summer's I must say I feel I would be very disappointed if I had to see another therapist.SHE IS AWESOME. I booked for a 90 minute but asked for another 30 minutes because it felt so heavenly. I like a deep massage and she never lets up, like most and she knows exactly where to go. I will be back weekly from now on and have already bought gift certificates for both my husband and my son. They will be delighted! Art S. says: The back walk was an amazing experience. I had the back walk as well. I recommend you get at least the 90 minute session so Summer has time to do a thorough job. Summer worked on muscles that other therapists ignore. For that alone, Summer deserves a great recommendation. However, her skill also deserves credit. I mentioned a problem I had and she went right to work. She e is very caring and adjusts her pressure as necessary without waiting for you to say anything. I will be going back! Thank you!!! Paul S. Summer is amazing! She's pleasant, professional, and gifted. I had a 2 hour back walking session that was the best I ever experienced. I will be back, hopefully real soon! One of the best massages I've ever had. I've had some pain in my shoulder and upper arm for a couple of weeks and the therapist was able to work the area vigorously and I have been relatively pain free since the massage. While I didn't have Summer from my complete massage the other therapist did a great job and Summer joined her near the end of the massage. I will be going back hopefully on a regular basis just because I feel so good afterwards. I am from Chicago and get monthly massages. I was in town and had some down time and decided to get a massage. This was the BEST deep tissue massage I have ever received ANYWHERE! Next time I am back I will absolutely get another. Thank you so much. I went to Summer simply because I couldn't get in to my regular lady so I did a Google search and she had great reviews. I was going for moderate low back pain, I see a chiropractor regularly and have had several massage sessions to try to relieve the pain. Doctors told me it was all muscular. After 30 minutes with summer I could feel the pressure begin to release very similar to laying in a traction table........ Simply put it was amazing! I never thought I would see the day I was ok with a stranger walking around on my back, it was amazing. By the end of the night my low back pain was 50% better and by the next morning 70% better. She cares about your comfort and asks throughout if pressure is ok and you are comfortable but doesn't talk to you the whole time about who won the game last night! I wont look anywhere else I'm hooked for life. The best massage therapist in Polk County, Iowa. Summer is the best massage therapist in Polk County, Iowa (and perhaps in the state of Iowa) providing professional massage therapy that is expertly tailored to each individuals physical, mental & spiritual needs! As an ex-professional athlete I have had hundreds of messages over many years. Most met my goals and objectives but not 100% like Summer's! Excellent professional massage services offered by this therapisT !!!!! Summer is the best massage therapist I have ever been to! She is amazing. I had the back walk with my massage because I have never heard of it or experienced it! That was the best!! I will get the back walk every time. My massage was yesterday and I feel like I have my health back. I can breathe better and I have more energy and no pain. I live in Georgia, but I will come back whenever I am in Des Moines. I will definitely be looking for someone in Georgia who can do the back walk. Summer gave me one of the best massages of my life! She found my trigger points and worked on all them patiently. I have no doubt that she knows what she is doing! fe! She found my trigger points and worked on all them patiently. I have no doubt that she knows what she is doing! Excellent professional massage. Summer is an experienced massage therapist that knew how to help with my neck and upper back. This was amazing. I started reaping the benefits immediately. Recommend her to everyone. WOW, RESULTS THAT I DID NOT KNOW EXISTED. I WAS SO PLEASED WITH NOW MY 3RD MASSAGE AND A LONG TERM STIFFNESS IN MY LOW BACK DAILY IS 95% GONE AND I DON'T EVEN THINK ABOUT IT. I THEN APPROACHED HER WITH MY NEWLY DEVELOPED STIFF AND SORE NECK. A CHIROPRACTOR TOLD ME HE DID NOT THINK HE COULD HELP ME, HE TRIED AND THEN I TURNED IT OVER TO SUMMER AND HER BACK OF GREAT MASSAGE TOOLS. I CAN NOW SEE TO BACK OUT OF PARKING SPACES AT WALMART WITHOUT BEING A HAZARD TO EVERYONE IN THE LOT. I ENJOYED HER WALKING MASSAGE THAT I HAVE NEW EXPERIENCED AND TOTALLY LOVED THE RESULTS. Summer was born in Nanning Guangxi China. She was raised in a small country town where she learned the value of a hard day’s work raising food in the fields, on the community farm, for her family and fellow town members. Later in life she decided to move to the big city of Nanning (6 million people) and build a new career in the cosmetology industry. There she learned to be a very skilled hair stylist and received training and experience in the art of Chinese massage and barefoot massage therapy. After her training was complete, and with some experience under her belt, she under took the great task of becoming the owner of her own hair and massage spa. She built her business to be very strong for ten years before making the difficult decision to leave her country, family and friends to move to America and start her own family. Together they have three boy and they are all living together in Urbandale Iowa. After a few years of taking care of her children at home, she realized it was time to get back to her career. She felt very strongly that she would prefer to advance her training and skills in the massage therapy field, rather than furthering herself as a hair stylist. Her decision was based on her desire to help those people in need of relief from their pain, and the content she feels when her client’s needs have been fulfilled. After some deep research on massage therapy schools, it was quite clear that "Body Wisdom Massage Therapy School" was the place where she would receive the best, most intense training for her career. Summer began her United States massage training in 2010 at Body Wisdom Massage Therapy School. There she received exceptional training in many different modalities of massage therapy: Deep Tissue, Swedish Relaxation Massage,Ashiatsu (Barefoot Back Walk), Jin Shin Do Chinese trigger points, myofacial, positional release, just to name a few. 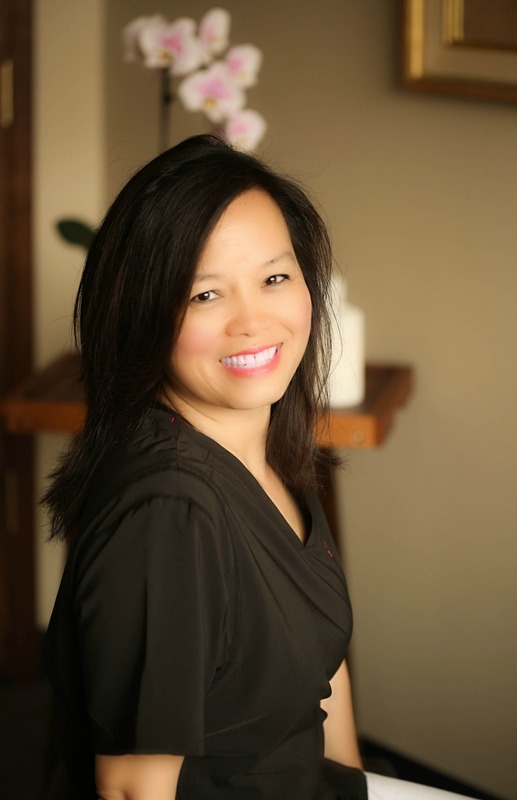 But her passion, and her greatest skill, is her ability to identify problem areas for her clients and relive their pain with her truly skilled hands and her incredible natural abilities in the art of massage therapy. During her deep tissue training, and along with many, many hours of examining her anatomy teachings, she came to realize her natural ability to find and relieve the symptoms of her client’s problematic areas. This ability has given her the strength and desire to learn all that is possible to learn about sport and injury massage therapy in the hopes that she can be renowned as the best therapist available for her clients in need.